With Summer already half over, I figured it was time to get working on our Bucket List. I realize I already made a list of goals for July, and I will be making one for August, but a Bucket List is different. It’s a bunch of fun things we want to do. It’s not about improving, increasing, or organizing anything. Just plain fun. So, here’s a list I came up with. I’m not sure we’ll get to do all these things, but we will have fun trying. 1. Celebrate the Last Day of Summer School This is already planned by my oldest. He requested a picnic and playing at the park. It will be DONE Friday. Woo Hoo! 2. Have a family Campfire My oldest and husband do it all the time, but it’s past the twins’ bedtime. So, we need to start one early, roast some marshmallows and make S’mores. 3. Visit Another State Park We already have our State pass from our Road Trip, so we need to get some use out of it. 5. Visit the Shedd Aquarium The boys love looking at the fish at the zoo, and this would be awesome for them. Starting with the train ride, I think this will be a super fun day. 6. Get comfortable in the Water I signed all the boys up for swimming lessons next week, so I’m hoping this will be accomplished. I’m hoping my oldest will learn a little more actual swimming this year, but as long as he’s more comfortable, mission accomplished. 7. Get a Family Portrait Done Since we are the Ambassador Family for The March of Dimes this year, this is a must! I’m enlisting the help of a photographer friend, so I know she’ll get a great shot. Here’s a picture of the five of us from last summer, taken by my Mother-in-law. She did a pretty good job! 8. Finish the Summer Reading Program We signed up during the second week and have been going strong. My husband reads to my oldest every night, and the twins get plenty of books during the day. 9. Use some of the Prizes from the Summer Reading Program We’ve gotten a lot of Buy 1 Get 1 Free admissions to play areas and attractions around our city from the program, so now we just need to put them to good use. 10. Go Back to School Shopping Now, some of you may not think this is a fun thing, but I LOVE SHOPPING. I especially love Back to School shopping. This is the time I have permission to buy things, and maybe go a little crazy since it’s my son’s first year in school. I actually might get a head start because did you know today is Amazon Prime Day?!?! According to their website it’s supposed to be BIGGER than Black Friday. I’m sure there’s going to be tons of deals, and since we’re Prime Members already, I’m set. If you’re not a member yet, just click my affiliate link below for your FREE 30 Day membership! You won’t want to miss this! BONUS See an Outdoor Movie They have them going on all over the city this summer, so I hope to make one of them. I used to love going to the drive-in when I was a kid, so I think mine will enjoy it too. If we don’t get outdoors, we at least have to see the Minion Movie! So, there you have it…our Summer Bucket list. I really hope we get to do all these things and squeeze all the fun left out of summer. What’s on your Bucket List? What fun stuff have you already done? I’m a LIST maker. I LOVE bucket lists. Yours looks like gold – filled with tons of family time! I love me some out door movies. They play them every saturday in the park below my balcony. But because of the rain we haven’t had one yet. I am keeping my fingers crossed that they will start back up this weekend! Love your list! I really want to make one with my kids. If I don’t hurry summer will be over. LOL! I wish they had an outdoor movie around here! Going to the fair tonight and hitting the bike trail this week! Great bucket list! I’ve been meaning to get our family portrait shot when I realized we don’t have too many pictures of everyone! Our summer bucket list is very similar…. down to the trip to Shedd!! Good luck! Love this list! I visited the Shedd aquarium two years ago and it was honestly one of the coolest places I have ever been in my life!! were planning to go Shedd Aquarium too. Awe. Well, I hope you do! Yes!! Family portrait is on our list, too. I need to get cracking on that because yikes, it’s the end of July! I know…it’s gone by way too fast. 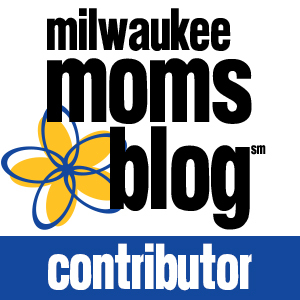 A train ride to the Shedd Aquarium — what a fun idea!! That’s one of my favorite things to do in Chicago. I hope you guys have a lovely summer! Love this list! 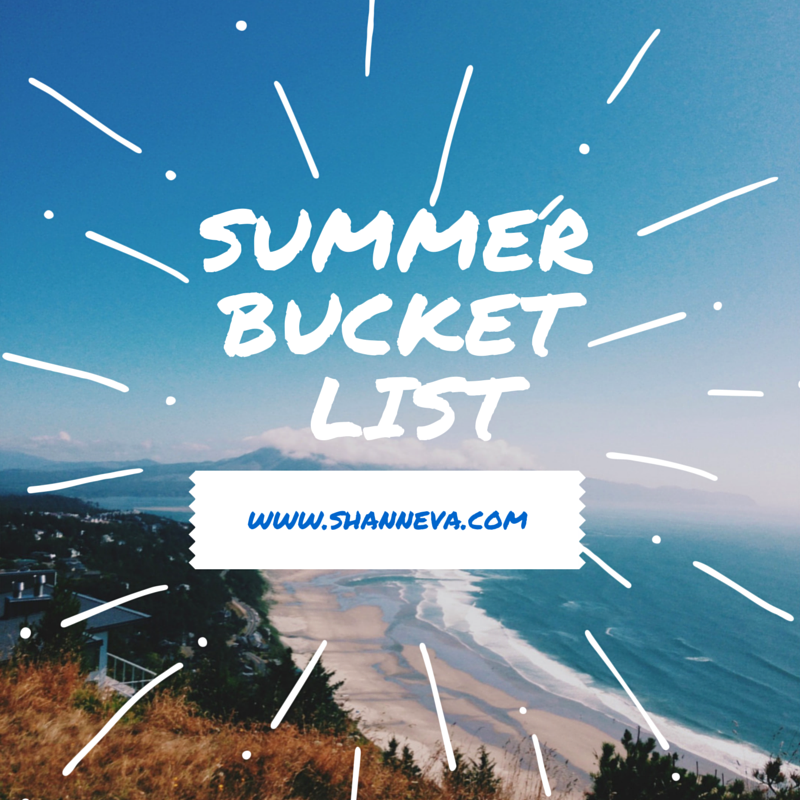 It is a perfect bucket list for summer! What a gorgeous family you have. Your kids are adorable! Sounds like a fun and very do-able list. 🙂 I hope you get to knock them all off your list!! Excellent list! I remember taking swimming lessons as a kid. One of the best things my parents did, to encourage me not to be afraid of water. First off–we’ve been Amazon Prime members for YEARS and I never knew about Prime Day—thank you for tipping me off to that little gem! I’m terrible about the summer reading program. Not the actual reading part, but the follow-up/tracking part. We got some free entries to local things when we signed up (just like the last few years) and have yet to use any of them. Thinking now I should get on that as well. That pic of your family is great! Thank you! Yes, the follow-up for the reading program is something I have to remind myself of each week. I have the sheet stuck right on the front of the fridge 🙂 I’m going to check out and see if there are any good deals on Prime Day tonight too. Ride a train… we want to do this too!!! Great summer list! Our list is similar! But so school you are the ambassador family this year for March of Dimes. I always walk for them or try to raise money each year. The top of our list is spending more time as a family traveling across the island. It’s been a tough year settling here and moving twice now, but It think 2016 is going to be a much better year. Summer is year round here soo we have a long summer ahead of us lol! But camp fires are for sure something we hope to have happen soon! Thank you so much. So glad you raise money for the March of Dimes too. I hope you have been able to recover and recuperate. Enjoy your long summer! I Love making fun bucket lists! Your family is going to have so much fun! I love campfires!!! I got to go on my first train ride when I was in Italy and it was really nice. That should be a fun experience for your boys! Love your family photo from last year. We used to do family photo’s every year. Thank You for sharing your bucket list. It sounds like you guys are going to have a ton of fun this summer. Love all your ideas. What a great list! Aww, your famy is beautiful. I love the banner you have! I hope you guys get to accomplish everything. I haven’t seen an outdoor movie since I was a child, I would really like to see one again myself! What a great bucket list!! 🙂 Lots of fun stuff planned for the Summer I see!! I love this idea… we always tend to spout off ideas of “fun things we should do this summer” but we never actually do them! If I write it down it will be WAY more likely to be done! Have fun at the minion movie… my husband already crossed that one off his bucket list! This is a great list. I love the swimming lessons plan. That last day of picnic is the most amazing idea ever. I used to go to the movies on the last day and fill up on Popcorn. what a great list! We need to get out butts in gear and get some of our things done. Family pictures included. Fun! I love visiting state parks and discovering new places. This is a great bucket list! I should make one for the rest of my summer. This is a great list, Shann! Aquariums are so much fun, and I think ALL little boys love trains 🙂 I know my son did, lol. Cute family! Next summer I will be doing a bucket list —this summer was a total BUST, my daughter was sick the whole summer…well, actually since April and she is going back to school this upcoming week. So our summer was kind of on the boring side. Oh no! Well, I hope she is getting better, and you have a better couple months. I’ve been to Shedd and loved it. It’s been a long time though, I’d love to go back. Great list. I love your family portrait. you have a beautiful family. Those are fun and I hope you’ll be able to do all of them. Lovely family pic! You have an adorable family. I think it is so great that you make goals and plans for your family throughout the summer. My grandpa made all of us grandkids take swim lessons every summer and I am so grateful now. I actually was a lifeguard for years because of him! It is also an absolute must for Jim and I to have a campfire at least once a week! You have some great things on your bucket list. I love this! Shedd Aquarium is AWESOME. I’m so excited…haven’t been there in years. Ah – the summer list! I am not only a big list maker, but a school teacher. My do list is always longer than my summer. Sometimes the most important thing to do is nothing, ha ha. Loved your post!